The Japan Aerospace Exploration Agency is working to put more astronauts in vehicles on the moon and it’s enlisted the help of Toyota in doing so! 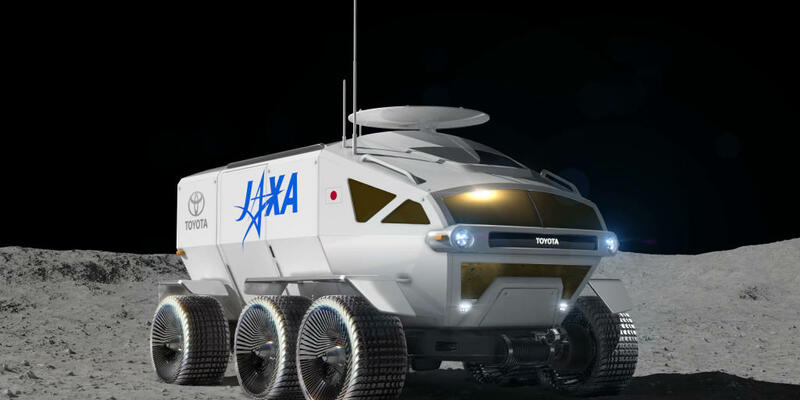 Toyota recently released conceptual images of a hydrogen-powered, six-wheel moon rover that it’s developing in coordination with the space agency. Both Toyota and JAXA are now studying that SUV. In fact, they’ve accelerated that ongoing joint study because they say they know how helpful a vehicle like Toyota’s conceptual rover could be on the moon. “Even with the limited amount of energy that can be transported to the moon, the pressurized rover would have a total lunar-surface cruising range of more than 10,000 km,” wrote JAXA and Toyota in a press release. JAXA says it’s aiming for human lunar exploration to take place in the 2030s and sees manned, pressurized rovers as playing an important role in that. So, what exactly does that mean? Toyota and JAXA says that means it could house two astronauts comfortably, or four in the case of an emergency (the total living space inside the vehicle is 13 cubic meters). The astronauts would also be able to live in that space for fixed periods of time without having to wear space suits. 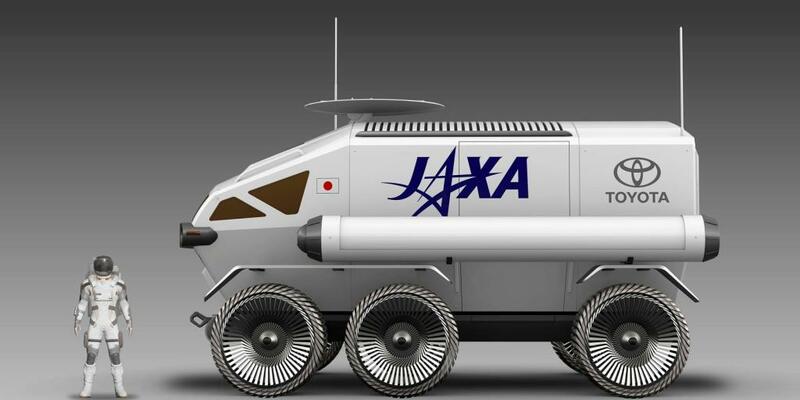 The press release even mentions this vehicle could one day make its way to Mars, so Toyota and JAXA aren’t just thinking about Moon exploration here. Some of you might be left wondering why a space agency would even want to collaborate with a vehicle manufacturer on something like this. After all, Toyota makes vehicles designed for the ground. But, Toyota’s president did a pretty good job at defending the partnership. 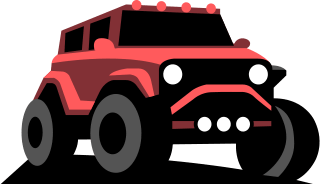 When people in the United States think of space rovers, the National Aeronautics and Space Administration’s legendary Lunar Roving Vehicle tends to come to mind. Popularly known as “moon buggies,” they were used by astronauts on the Moon in the early 1970s during Apollo 15, 16, and 17 missions. The first rover deployed on Apollo 15 in July 1971. What’s interesting is that on the astronauts’ first “off-road” excursion with the rover, the front wheels would not steer. Since the rear wheels seemed to function just fine, though, they decided to use it anyway and go on a three-mile journey. One of the astronauts reported it was quite a rocky and bumpy ride. They used the rover on three different excursions. They eventually set a limit as to how far they would go in the rover, though, just in case they needed to abandon it and walk back to the lunar module home base. They wanted to make sure they could safely walk back without running out of air. Smart! The Apollo 16 rover was used for the same number of excursions as its predecessor. Astronauts used it on three different journeys, collecting more than 200 pounds of rocks along the way! 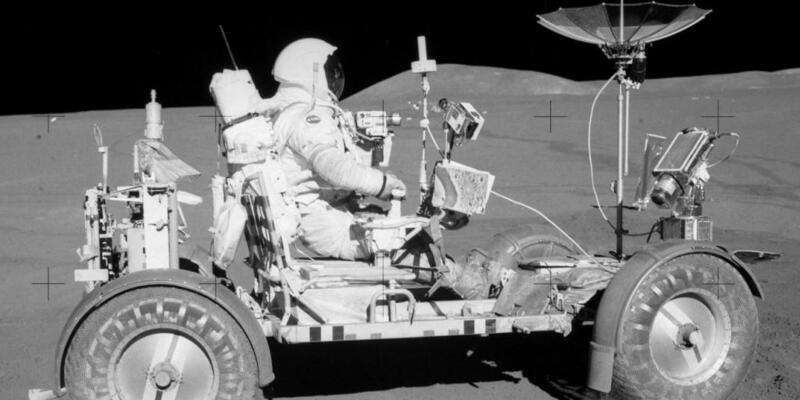 The Apollo 16 astronauts were actually involved in the development of these rovers, and even came up with the idea of using a simple T-handle to control steering, acceleration, and braking. The adventuresome pair of Apollo 17 astronauts, meanwhile, drove their rover 4.5 miles from the safety of their home base. They also drove the space rover a total distance of 21.5 miles! But, the Apollo 17 astronauts also had to figure out how to fix a major problem with their rover on the fly! One of the astronauts’ suit hammer pocket caught one of the rover’s front fenders and tore it off. Without fenders to cover the wheels, the vehicle kicked up an immense amount of dust. The astronauts later brought the broken part into the lunar module to duct tape it. The duct tape worked (as it always does) and the astronauts were able to go about their merry way! More U.S. Astronauts on the Moon? The Apollo 17 astronauts were the last humans to land on the Moon. And while Japan has its own goals for future human lunar exploration, so does the United States. President Donald Trump is officially directing NASA to send astronauts back to the Moon. The president signed Space Policy Directive-1 on the 45th anniversary of the Apollo 17 landing for that purpose. Both the president and vice president have been vocal about wanting to revisit the Moon. President Trump has also talked about his desire for a Space Force, a sixth military branch that would be overseen by the Department of the Air Force. 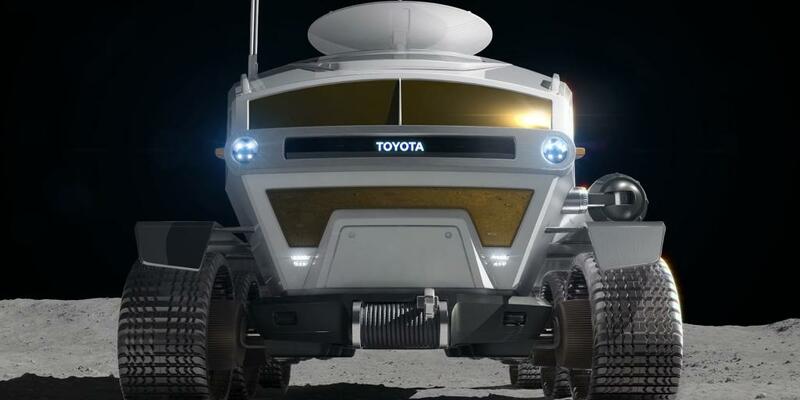 So, it’s safe to say any space rover Toyota comes up with will at least pique the interest of space experts and enthusiasts in the United States.